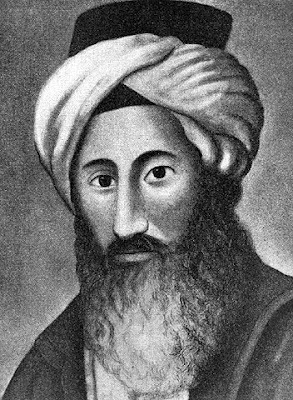 Rav Chaim Yosef David Azulai (circa 5484-5566; 1724-1806), better known as the "CHIDA," which are the initials of his name, was a Halachist, Kabbalist, historian and bibliographer. The CHIDA was one of the most fascinating and multi-faceted figures in Jewish history. He was highly respected for his great piety and scholarship, and wrote no less than 71 works. Thanks to his work, many works of other authors came to light. 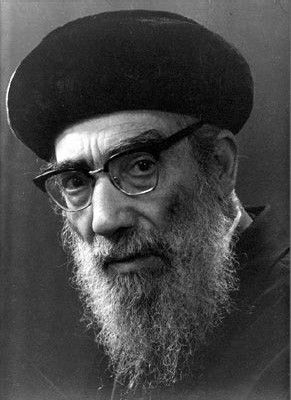 Born in Jerusalem he became a scholar of the first rank, studying under prominent scholars of the old Yishuv: Rav Yitzchak HaKohen Rappaport, Rav Shalom Sharabi [the Rashash], and Rav Chaim ben-Atar (the Ohr HaChaim). In 1753, at the age of 29, he traveled to Europe as an emissary of the communities of Eretz Yisrael and again in 1772 on behalf of Chevron. Each trip lasted in excess of 5 years. 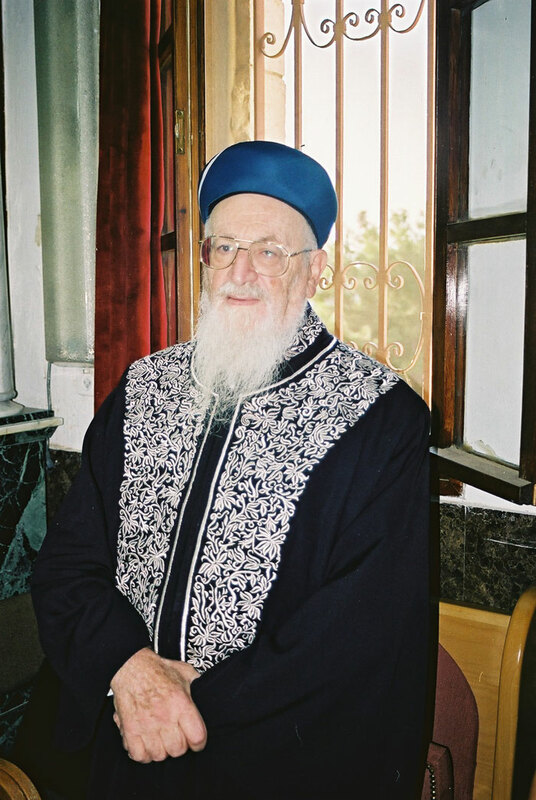 He served as the Rav of Cairo (Egypt) for five years. Wherever he visited, the CHIDA made sure to inspect the important libraries and thus became familiar with many thousands of manuscripts. Out of these visits grew his remarkably compact and informative classic bibliographic and biographic work, Shem HaGedolim. The first part of the sefer contained biographies of some 1,300 scholars. The second part, entitled "Vaad LaChachamim" (Assembly of the Wise Ones) enumerates some 2,200 works, published and unpublished, and describes their contents. Many of the books mentioned had never been heard of, and important facts about many authors and their books would have been lost to us but for this great work of the CHIDA. It was later revised and supplemented by various scholars at different times. The "Shem HaGedolim" has thus become one of the most important and invaluable source books of Jewish literature and history. In the year 1778, Rav Chaim Yosef David Azulai completed his second trip, and settled in the quiet and prosperous Jewish community of Livorno (Leghorn), Italy, to begin writing his major works. Livorno was then a center of Hebrew printing, wherein the CHIDA found all the necessary facilities for publishing his works. He passed away in 1806 at the ripe old age of 82, in Livorno, and was buried there. “He said to me, ‘Can these bones live?’…As I prophesied, there was a roaring sound, and the bones came together and joined one another... ‘I am going to open your graves; I will take you out of your graves, My People, and bring you to the Land of Israel.’ ” [Yechezkel, 37:3, 7, 12]. A century and a half later, the Rishon L’Zion, Sephardic Chief Rabbi of Israel, was Rav Yitzchak Nissim, who had a special appreciation and admiration for the CHIDA, his deeds and his writings. One of his friends was Dr. Shlomo Umberto Nachon, a native of Livorno who had made Aliya to Israel. Dr. Nachon was instrumental in bringing major artifacts from Italian synagogues to Eretz Yisrael, such as Aronei Kodesh, ancient handwritten manuscripts and the like. In 5712 , he founded the Italian Synagogue in Jerusalem. A few years later, they learned that the Italian authorities wished to build a highway through the Jewish cemetery. At this point, Rav Nissim and Dr. Nachon understood the urgency of the situation, and decided it was time to reinter the CHIDA in Eretz Yisrael. While Dr. Nachon made the arrangements with the authorities in Livorno, Rav Nissim, after much coaxing, commissioned then 31-year-old Rav Mordechai Eliyahu to head a team of esteemed Sephardic rabbis for the reinterring in Yerushalayim. So in the year 5720 , the Rishon L’Zion, Rabbi Yitzchak Nissim, told Rav Eliyahu and Rabbi Yisrael Abuhatzeira [the Baba Sali] along with the Baba Haki and other rabbis, to take care of reinterring the bones of the CHIDA. 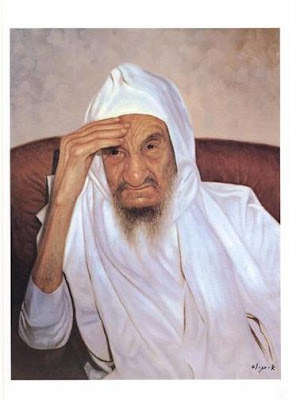 The Baba Haki was the Baba Sali’s brother, and a leading rabbi in the city of Ramle who was familiar with Jewish burials in his native Morocco. Rav Eliyahu then asked that a larger coffin be brought, so that the bones could be transferred to it, for an honorable burial. Immediately, he requested that the Baba Haki's driver go with his driver, immerse in a mikva [ritual bath], and buy a Phillips screwdriver to open the coffin. When they returned, the Rav made a large hole in the bottom of the coffin so that there would be no barrier between the bones and the soil upon burial. But for now, the hole was closed with a [rubber?] stopper. Rav Eliyahu, about whom it was known that he was familiar with the CHIDA’s writings, inside and out, opened the coffin, and put his hand in to arrange the bones. Then he closed his eyes and asked pleadingly from the CHIDA, that he should put himself in order, since he has no power to put the bones in order. Immediately a powerful, almost explosive sound was heard, the coffin began to shake, and a rattling sound - made by the CHIDA's remains striking the coffin's walls - was heard. All of the other rabbis fainted on the spot. Rav Mordechai did not faint, saying that this occurred because he was absorbed with the mitzva. And behold, it was incredible -- real resurrection, the bones managed to put themselves in order, bone by bone, until the entire body was in order -- in the merit of the holy master, the CHIDA! Later Rabbi Mordechai Eliyahu said that whoever needs to be saved, should go to pray at the grave of the CHIDA. Is it any wonder that Rav Eliyahu is buried near the CHIDA??? Zechutam yagein Aleinu v’al Kol Yisrael – may the CHIDA’s and Rav Eliyahu’s merits protect us all! Yitz, thanks for the info about the Chida. I always wondered who he was because of the street named for him in Bayit V'Gan. Did you change your email address from the link provided under "Email me! ", because you didn't respond to an email I sent two days ago.